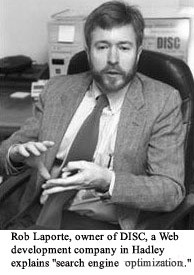 Articles about and by DISC published in major media help you trust that DISC is the real deal. 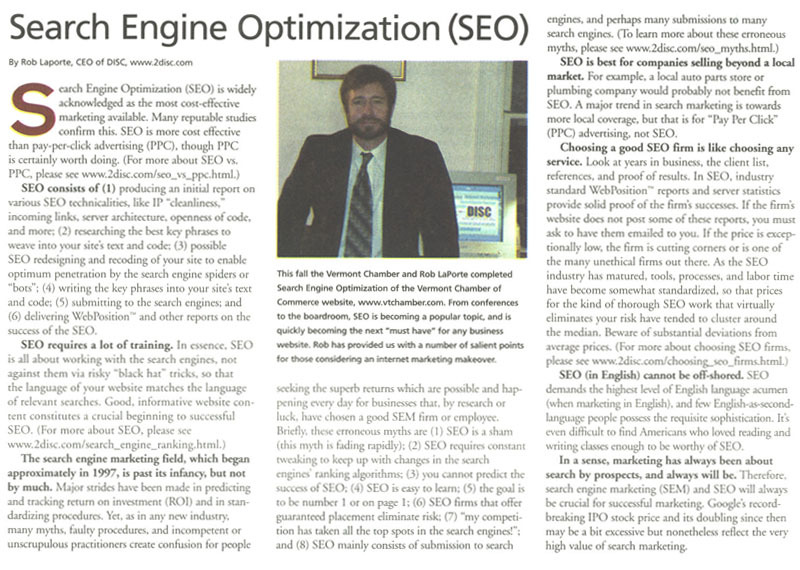 DISC’s Rob Laporte were featured in a series of articles on search marketing. 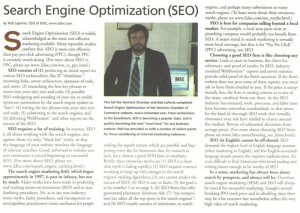 DISC’s President Rob Laporte explains SEO and Conversion Rate Optimization. DISC’s work with Jerry’s Artarama is a featured a case study in this popular book. We were proud to be covered in the Spring 2002 alumni magazine for the UMass College of Humanities and Fine Arts. 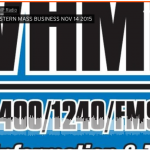 The Vermont Chamber of Commerce was so impressed with DISC’s SEO work for them that they placed an article written by DISC CEO Rob Laporte on the back cover of their widely circulated magazine. Western Massachusetts’ largest newspaper, the Springfield Union News, published a story about DISC on the front page of the business section in November 2000. 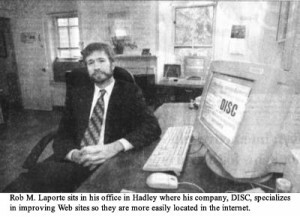 In December of 2000, The Hampshire Gazette, the second largest newspaper in Western Massachusetts, published a full-page article about DISC on the front page of their business section.